Your financial donation helps us provide safe, respectful shelter during the coldest months of each year, and assists people in their efforts to secure affordable housing. We are incredibly appreciative of the community whose efforts have allowed us to not only continue running, but provide a better quality of service with every passing season. If you are interested in providing in-kind donations, please scroll down to see our wish list. Craig's Doors is a registered 501(c)(3) charitable organization. Your gifts are tax-deductible. Thank you for your compassion and generosity. Shelter guests respond to our 2016-2017 funding crisis. 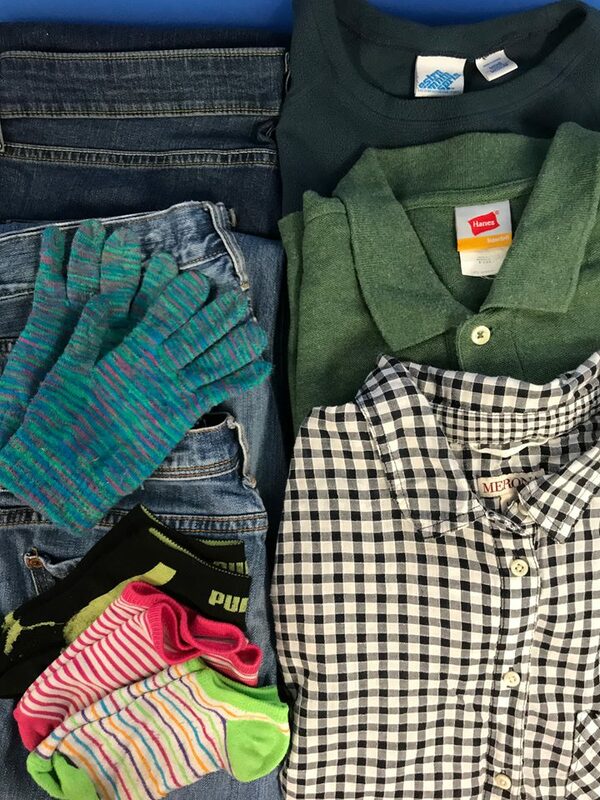 Socks, gloves, hats, underwear, coats, scarves, shirts, pants, shoes, leggings, and any kind of winter wear. Please donate adult-sized clothes, as we do not have children in our facility. Shampoo, conditioner, soap, moisturizer, razors, toothbrushes, toothpaste, deodorant, shaving cream, pads and tampons, combs, brushes, floss or mouthwash, nail clippers, and other grooming products. Travel-sized is preferred for easy distribution, but we will gladly welcome products of all sizes. Paper, Epson printer ink, pens and pencils, stamps, envelopes, tape, paper towels, disinfecting wipes, laundry detergent, toilet paper, tacks, trash bags, staples, and other administrative or cleaning supplies. We are a ServSafe establishment, and cannot accept anything that was not prepared in a ServSafe environment (as much as we would love to, we unfortunately can't take your home-made cookies), but we welcome donations from eating establishments, pre-packaged foods, store bought goods, and fresh produce. Our biggest food expense is coffee, and we are frequently in short supply. Band-aids, gauze, disinfectant, pain relievers (Advil, Ibuprofen, etc. ), Tums, melatonin, cough medicine, cough drops, decongestant, rubbing alcohol or alcohol wipes, Q-tips, Ace bandages, and other first aid products. Bus passes, ear plugs, hand warmers, batteries, sunscreen, bug spray, gently used blankets, sheets, or pillowcases, and gift cards. If you have a question about whether certain items would be beneficial to donate, please feel free to reach out!